The #Braves allowed 15 ER in 10 of the 3948 games played from 4/10/91-8/27/15. They done so in three of the seven games that have followed. Freeman: "you dont come to the yard every day expecting to lose by 14, 15 runs every single day. 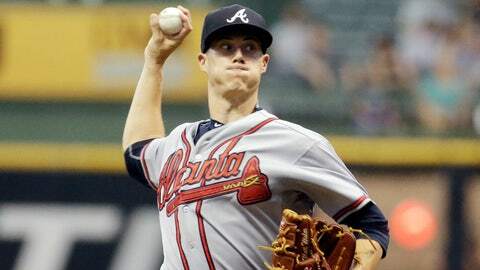 We're going to have to turn it around"
#Braves have an 8.55 ERA during 9-game losing skid. Yes, 8.55.